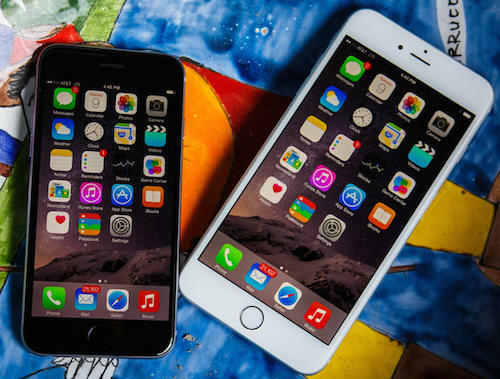 Today, Apple released the iPhone 6 and iPhone 6 Plus, to its initial wave of countries. The USA is lucky enough to be in that list. People have been lining up at Apple Stores around the world, including Australia, for weeks. I was lucky enough to go hands-on with both an iPhone 6 and an iPhone 6 Plus to check out their design, usability and iOS 8. Apple’s iPhone 3G cell phone will finally be released on July 11th at 8 am. It will be sold at Apple retail stores and at AT&T stores. Quantities may initially be limited but should start to ramp up after the first week of sales. Reports are coming in from multiple iPhone sites that the purchase process this go around will not be as easy. Some are saying that purchasers will have to activate the 3G cell phone before leaving the store. Apple and AT&T want to avoid the immediate availability to the gray market of the newest iPhone cell phone by locking users into a 2 year agreement as AT&T did last time. 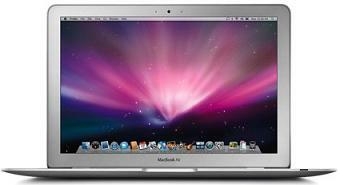 First impressions when using the MacBook Air is that it is visually small. It’s about 1/3 the thickness of a regular MacBook. It is .16 inches at its smallest and .76 inches at the hinge. After it is closed, the laptop is light but doesn’t feel like it’s made of cheap material, it feels like its definitely a Mac that could be used daily. The hinge mechanism is tight and should provide trouble free opening and closing. I see why Apple included a glass screen cover as it keeps the screen from twisting when closing or opening it from either corner. Apple is at it again by filing for a patent on the design in the graphic. It appears that the MacBook like computer would by placed inside of the iMac style screen enclosure. It is not clear if the MacBook would have a screen itself and if said screen would show through the iMac styled enclosure. 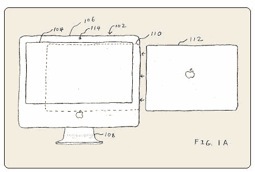 The patent application does reveal that the MacBook type computer would be slid into the enclosure where the ports would still be accessible. 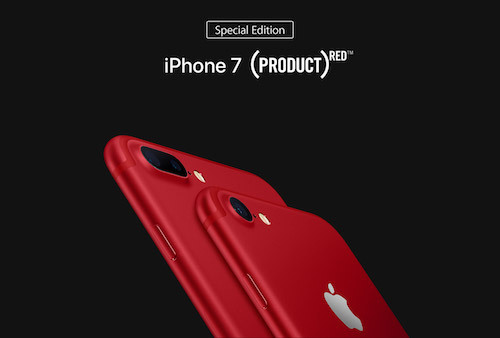 Apple is at it again thinking ahead for what consumers might want in the future. They have filed a patent application that is for an OLED-based keyboard that can change via software instruction. That basically means that the keys could change based on what software program is running on the computer at any given time.